Heritage Award for Kensington Market: Hidden Histories Students! 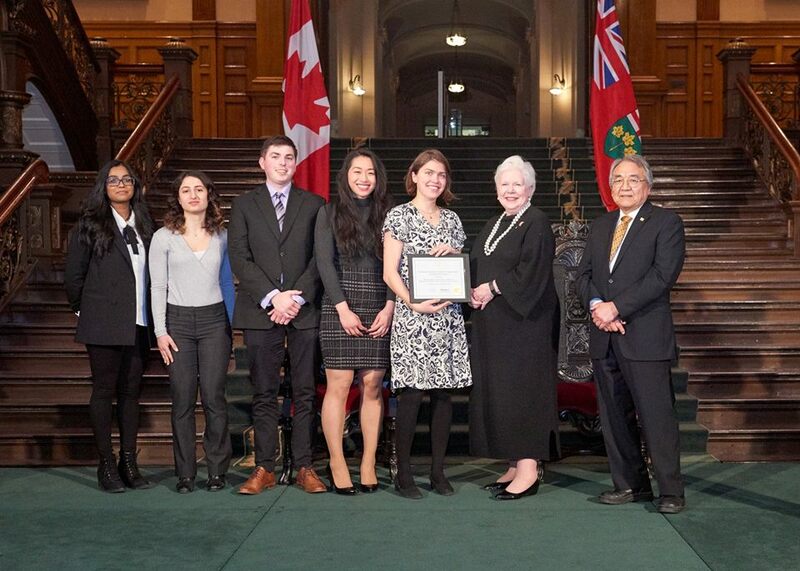 My UoT students received the Lieutenant Governor’s Ontario Heritage Award for Youth Achievement from the Ontario Heritage Trust 2017! 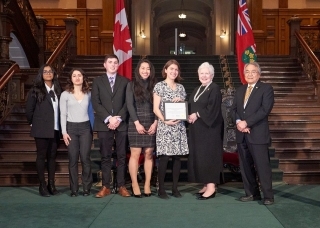 I was absolutely delighted & honoured to attend the Lieutenant Governor’s Ontario Heritage Award Ceremony at Queen’s Park, Feb. 23, 2017, where students from my Canadian Studies course were given the award by Lieutenant Governor Elizabeth Dowdeswell and Ontario Heritage Trust chair Harvey McCue. 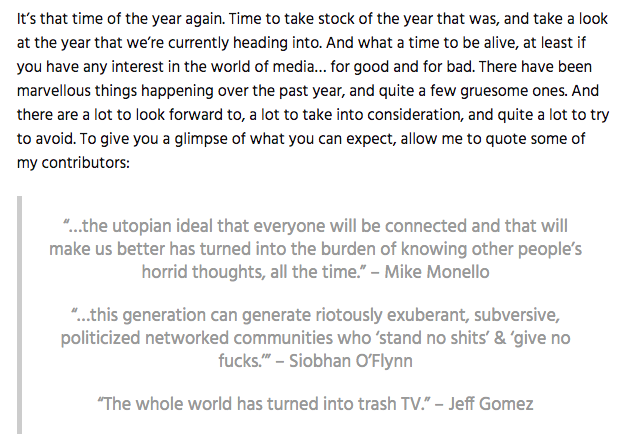 Simon Staffans’ Year in Review 2018 is up! Honoured to be included! 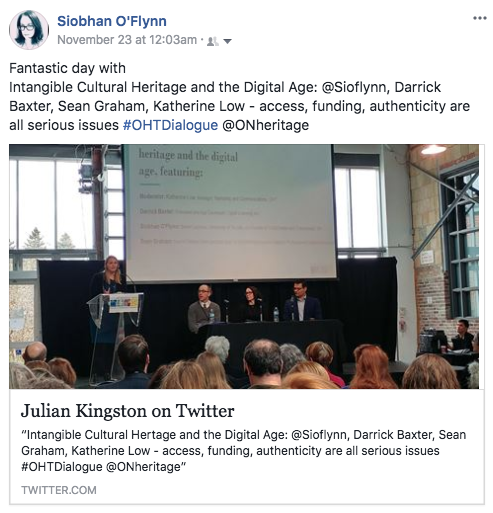 Intangible Cultural Heritage and the Digital Age, Panel. Ontario Heritage Trust. Our student, Nicole Paroyan, had a terrific exchange with Matt Galloway on CBC’s MetroMorning this am! It’s been an honour & a pleasure to work with Nicole & our other stellar students on this project! 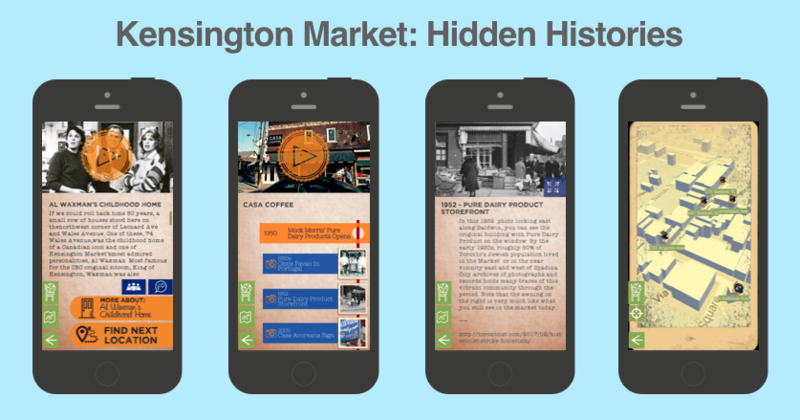 Kensington Market: Hidden Histories is available for download on iTunes! And in the Google Play as Kensington Market: Hidden Histories. Download & enjoy walking through Kensington Market discovering layers of lives lived, communities that flourished and moved on, some leaving traces. Others now vanished.. We barely scratched the surface! 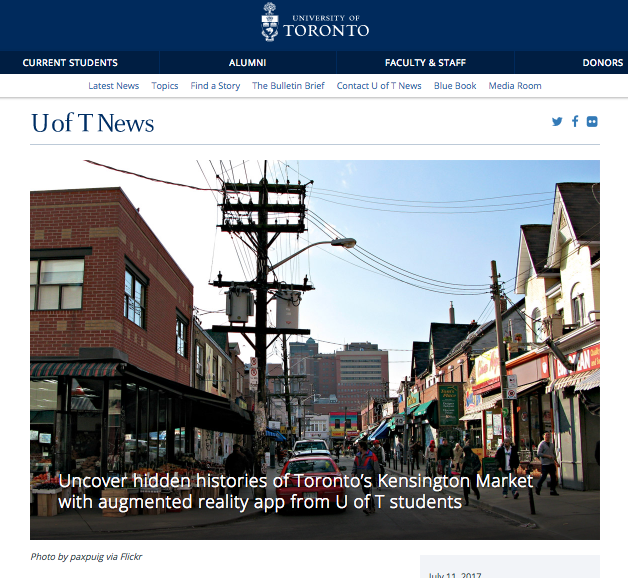 Kensington Market: Hidden Histories featured on UoT Home page! 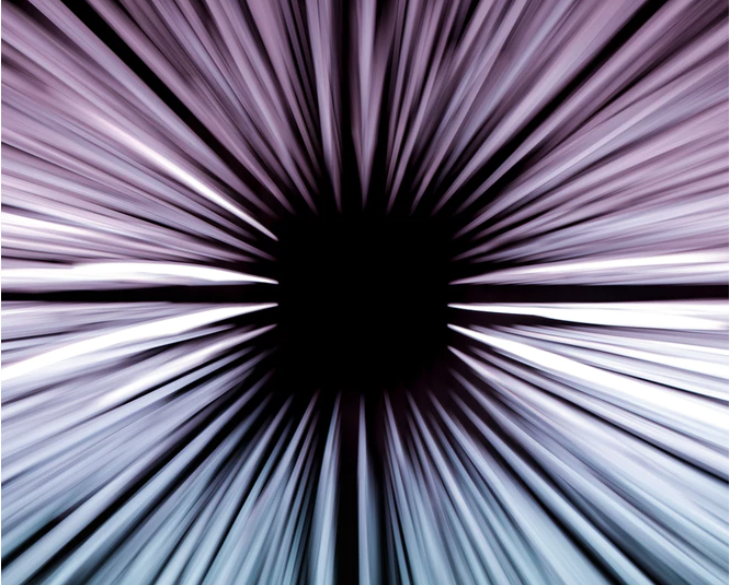 Great feature story by Peter Boisseau, on the main UoT page! 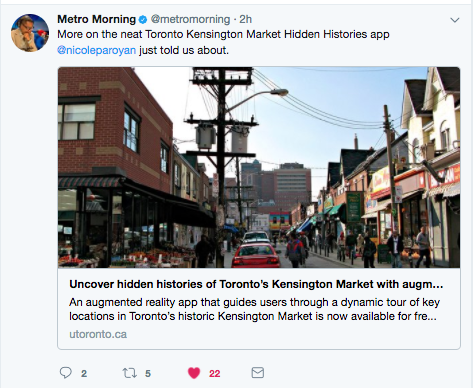 Excerpt: “An augmented reality app that guides users through a dynamic tour of key locations in Toronto’s historic Kensington Market is now available for free download – thanks to U of T students in the Faculty of Arts & Science. 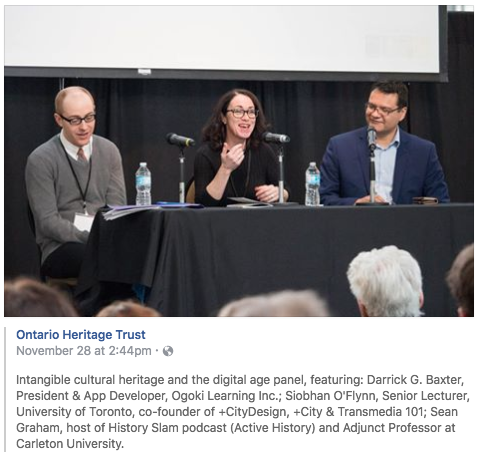 Students enrolled in University College’s ‘Digital Tools in a Canadian Context’ course used original research and archival documents to unearth generations of Kensington Market’s vibrant legacy and transform it into an interactive database. 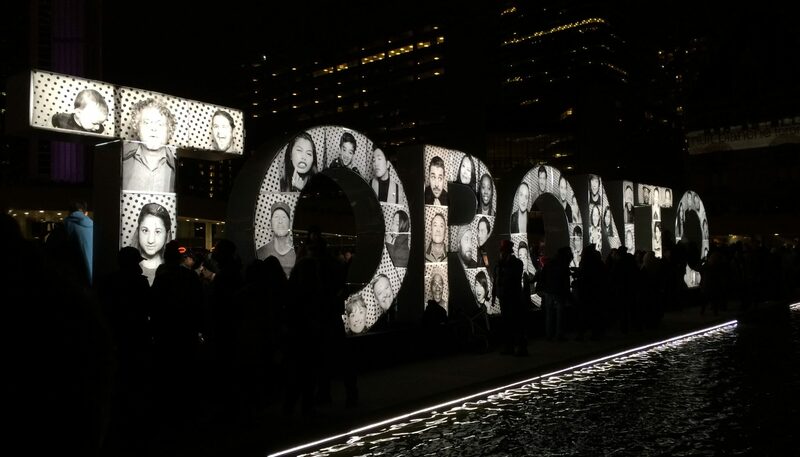 “Kensington Market is a microcosm of factors that have contributed to Toronto’s richness as one of the world’s most multicultural city, and reveals how Canada has changed over time,” says course instructor Siobhan O’Flynn, a lecturer in Canadian studies. Video Games Course – Students LOVED it! I LOVED it! 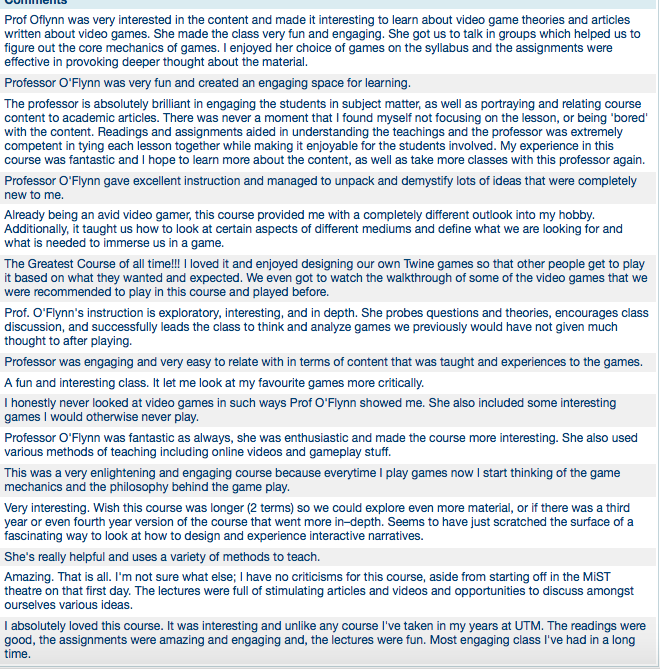 I had the opportunity to teach the first run of ENG279 Video Games this summer at UTM & the course was a blast. Students loved it. I loved it. The student feedback spans everything from our critical discussions to how much we had playing and making games. When do you get the chance to see Bioshock play throughs on a theatre screen WITH full sound?? ?